Having been inspired by the Julian Roberts Subtraction Technique I collaborated with my team mate on ideas and designs by experimenting with an unconventional bodice. My designs are mostly panelled with different forms geometric shapes this is because my research was structured around the premise of shapes and angles. Geometric shapes and lines from Sebastian Jansson and Keith Sonnier are my inspiration. 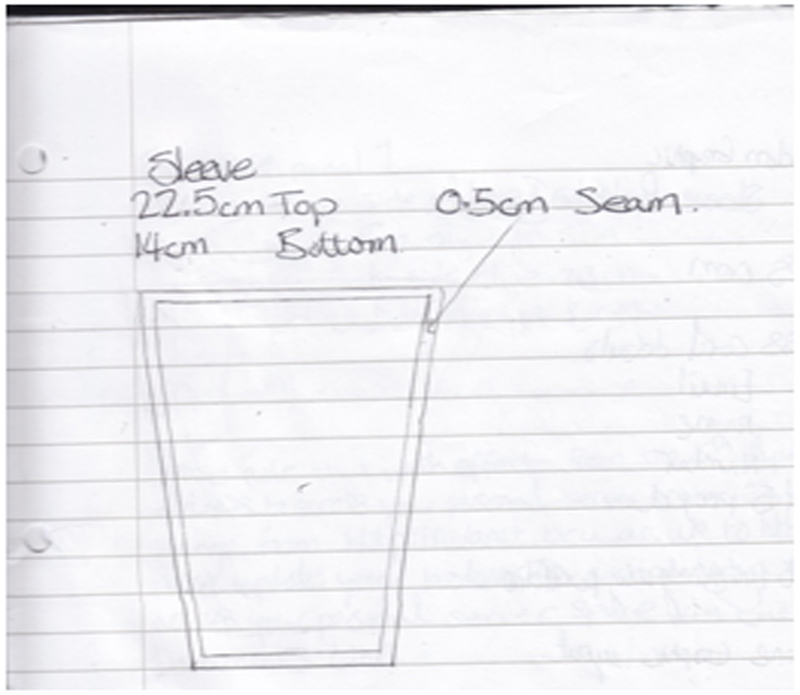 Having that in mind we changed the bodice to a round shape. My team mates theme was about restriction. We decided to include her restriction of the arm movements because the sleeves are attached to the bodice. 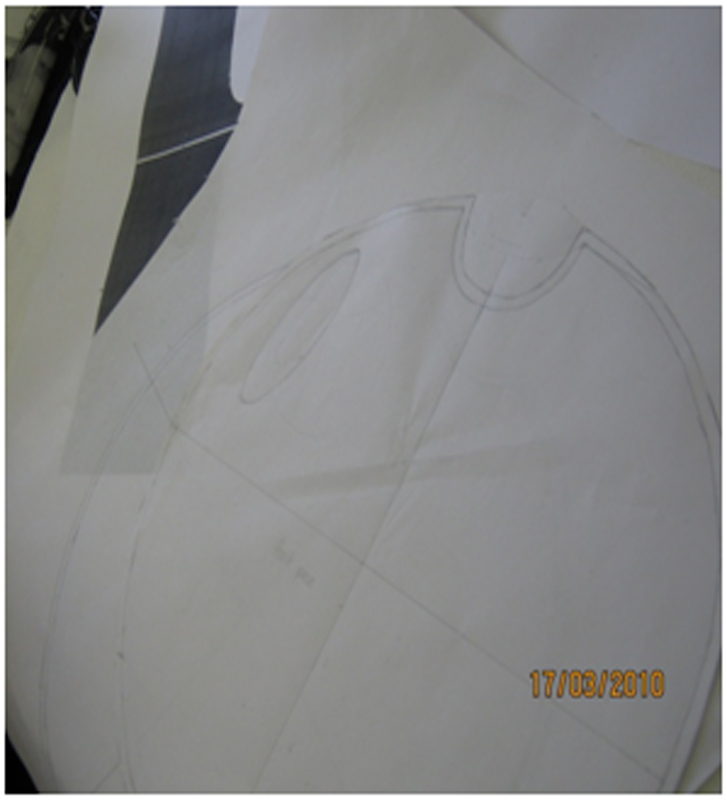 We achieved the new pattern for the bodice by tracing the original neck and shoulder bodice (Half scale). I then changed the shape of the shoulder line to be circler shape. To make the circle accurate we measured 17cm from the centre point of the bodice. 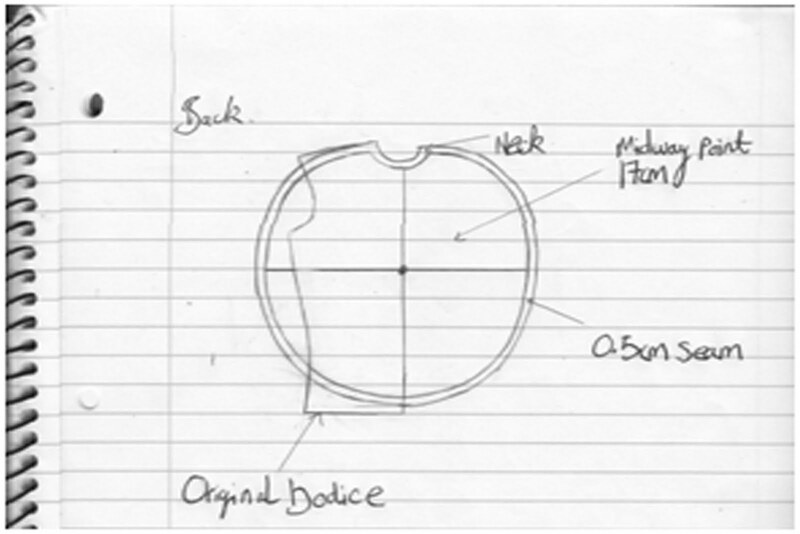 We then extended the circler shape to the hipline; this process was repeated on the other side of the bodice. 0.5cm seam allowance was added within the circumference of the circle. 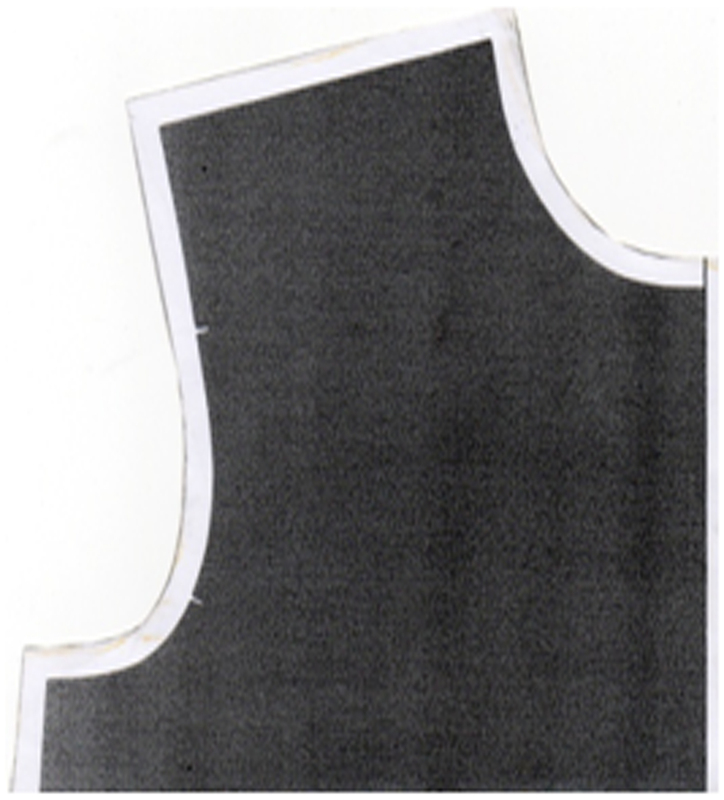 The same process that was used to construct the front pattern was repeated for the back but using an original back bodice (Half scale). The ideas for the sleeve restriction came from my team mate. 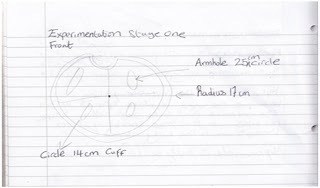 The image shows her revision. 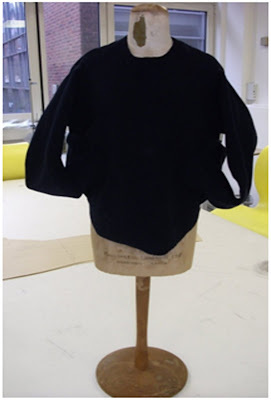 The position of the sleeve is attached to the front bodice, restricting the movement of the arms. Having worked out where the armholes should be placed on the bodice. 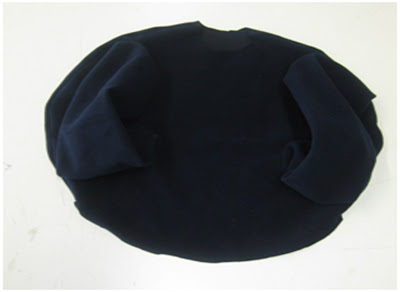 The next step was to create an oval shaped armhole because we didn’t want a conventional armhole. The armhole had a 25cm circumference this is the right size for a half scale bodice. 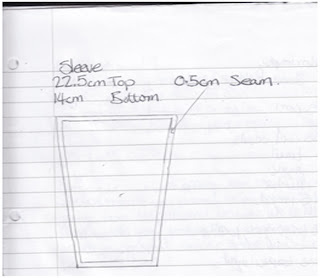 The cuff holes measured at 14cm half scale. The cuffs were positioned near the hip line. 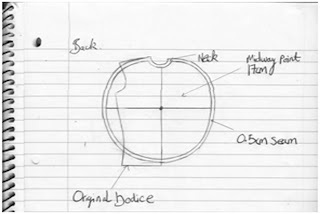 This diagram shows the first armhole pattern. The armhole is near the top edge of the front bodice. 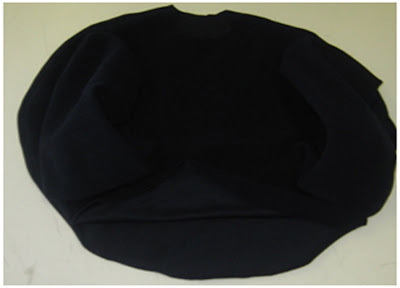 The challenge was to achieve the right measurement when the armhole was changed to an oval shape. 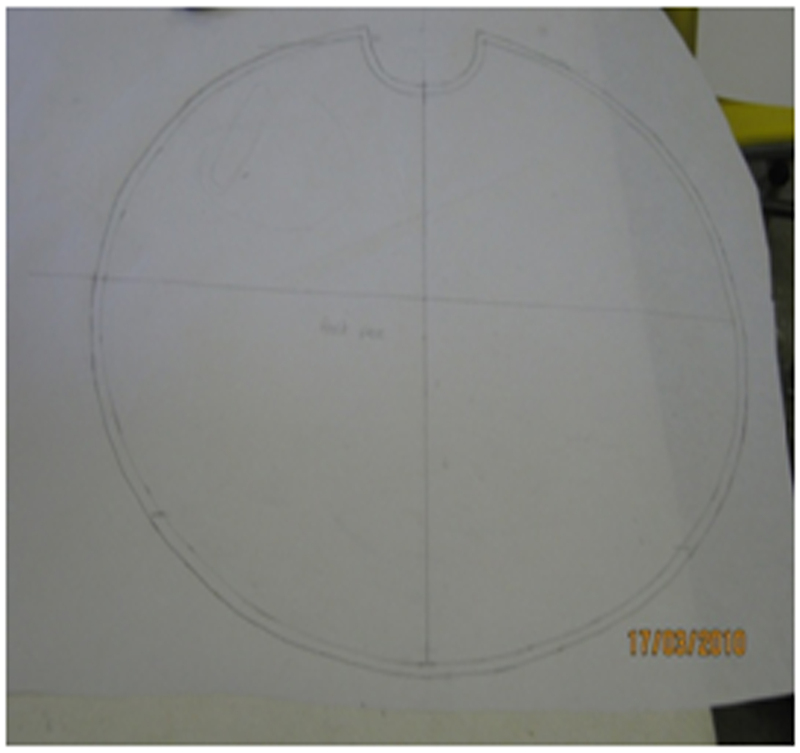 I did this by taking a measuring tape, making a circle shape of 25cm and then pressing it from the side to create and oval shape. I took a pen and drew the shape. This process was repeated on other side of the bodice. 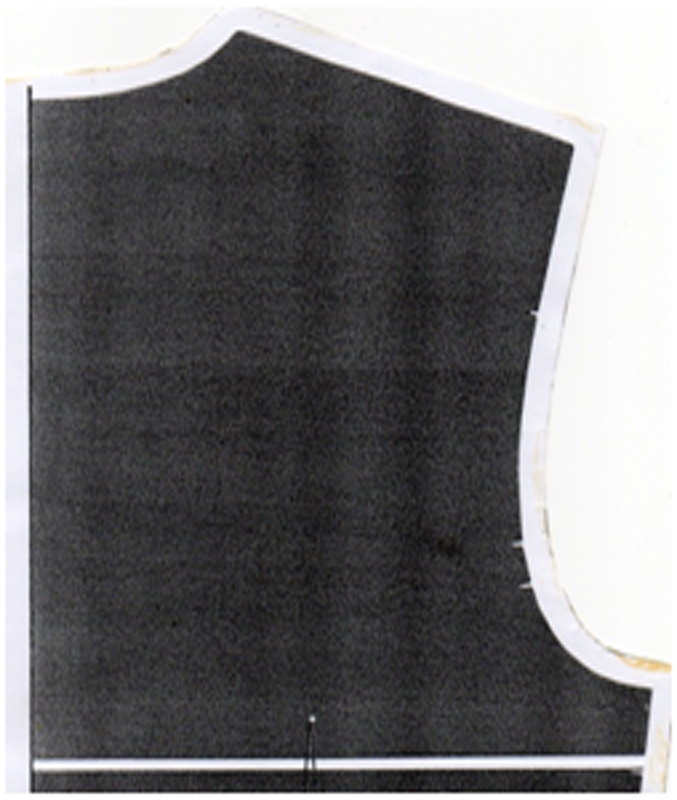 This digrams show all the armholes and cuffs drawn on the front bodice. The cuffs are postioned near the waist line. 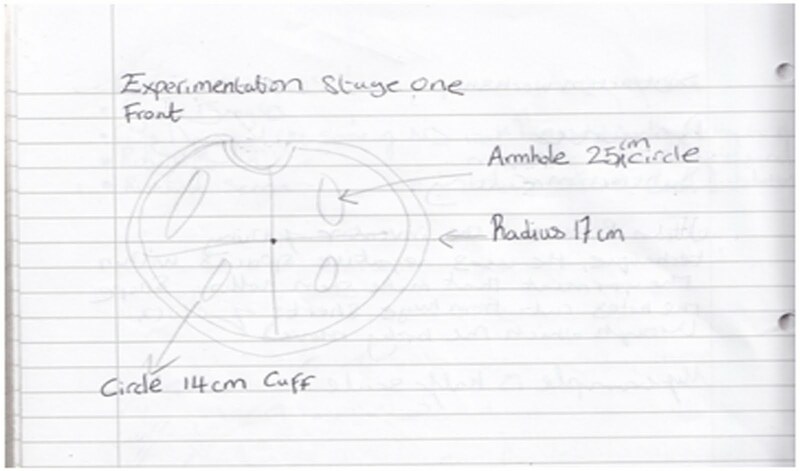 I drew the cuff circle by taking a measurign tape and making a circle of 14cm. The same process was repeated on other side of the bodice. With scissors I cut through the armholes and cuffs to leave a hollow shape. This sleeve pattern would be sewn onto the front bodice. We had to readjust from the convectional sleeve because the top sleeve had to fit the armhole circumference of 25cm and the bottom of the sleeve had to fit the cuff circumference of 25cm. The sleeve length is the same as the sleeve block (half scale). This image shows the finished garment. The main feather is the sleeves which are sewn at the armhole down to the cuff hole on the front bodice. 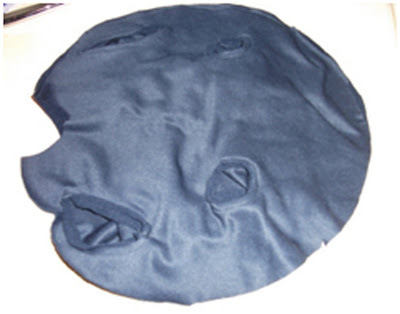 The fabric used was velveteen fabric. 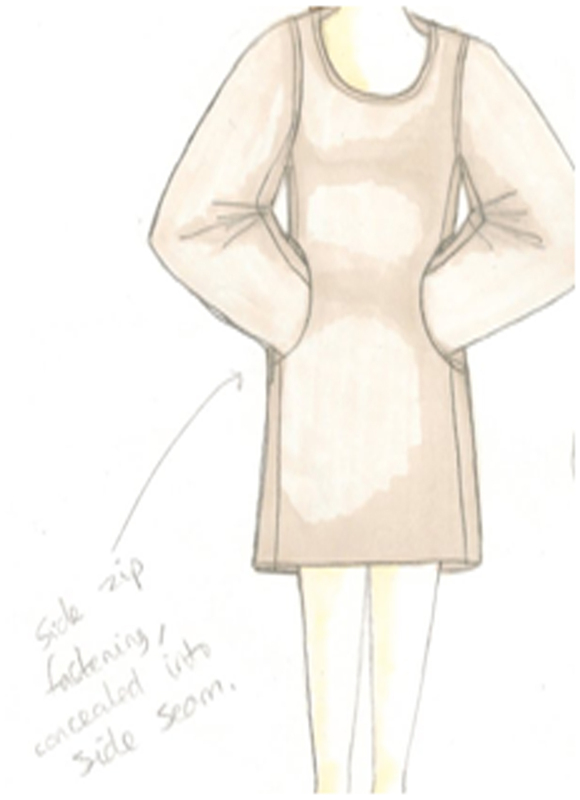 The reason for using this fabric was to experiment with a heavier fabric and how the garment hangs and forms. An opening was left at the hip line so that the garment can be worn. The inside of the garment. 0.5 cm allowance was used to sew sleeves to the armhole and cuff. 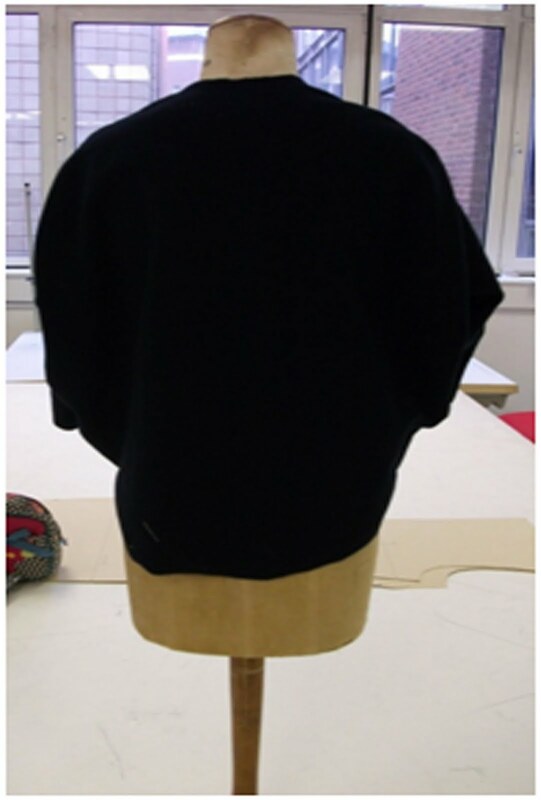 The finished garment hangs on a mannequin. On my left is the front view, on my right the back view.